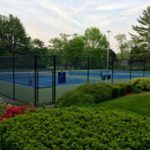 The Wedgewood Club – A member*owned swim and tennis club in Bedford, MA. The Wedgewood Club is a member-owned and run swim and tennis club in Bedford, MA. The summer-only club features three outdoor pools, six tennis courts and expansive open space. Swim, dive and tennis teams and lessons are included and encouraged with membership. 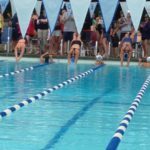 Wedgewood’s swim team encourages participation at all levels. This fun group competes in the Colonial League against Westford, Wayland, Concord and Chelmsford. There is something going on almost every weekday for kids at the club. Try the crafts in the barn or games in the back field. Don’t forget the special traditions: floatie nights, barn movie night and flick and float! See what’s happening in Adult Tennis. Sign up for the ladders, come to a free adult intro lesson or try out a ball machine workout. Get ready for the Wedgewood Cup! There are youth tennis teams for everyone – A-team and B-teams for girls and boys compete in the Sudbury Valley League. Learn more here. Try a Fun Friday – relax and share some snacks by the pool. Don’t miss the action at Family Day! Click here to see what the Social Committee has planned. Interested in joining the club? Click here to learn more about how to get on the wait list and the estimated wait times. The club’s status and associated activities can change as fast as the weather in New England. See the club’s twitter feed @WedgewoodClub for the latest club closures or last minute changes.